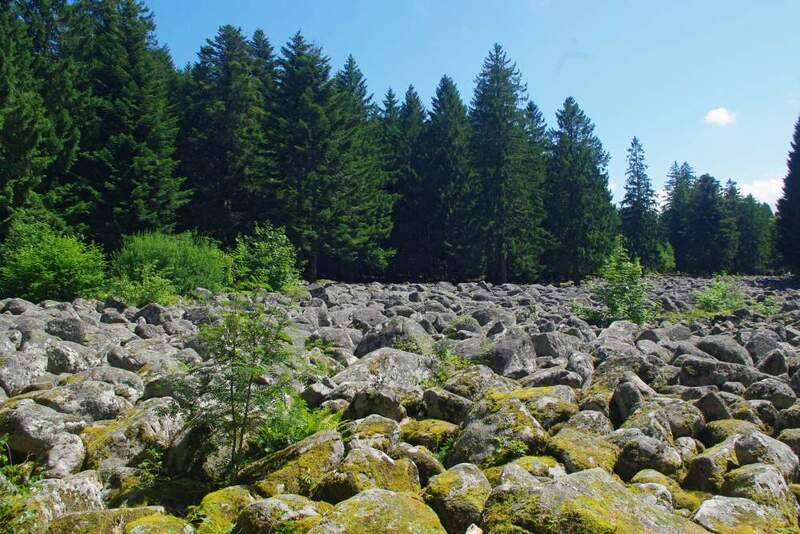 At Barbey-Seroux, a boulder field stretches out over 400 metres in length and 40 metres in width in the heart of the forest. Many legends try to explain the origin of this river of stone, but the reality is that a glacier deposited thousands of blocks of rock there some 50,000 years ago. An educational trail dotted with information panels has been developed to help visitors explore this astonishing site.